Download the Vienna Project App, available for iOS and Android. Our sponsoring partner, Kapsch AG in cooperation with CSS GmbH, working with project CTO, Kabren Levinson, developed a smartphone app for the 38 memory space, enabling the various sidewalk installation programs to be accessed on site or online. 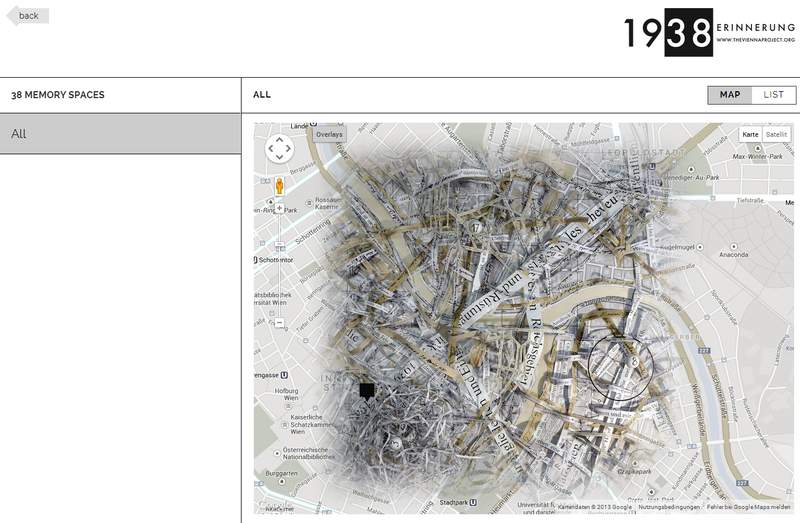 An imaginative map of Vienna, developed by international artist, Nikolaus Gansterer, incorporating archival letters written by victims and survivors, is featured on the app as the project’s default map. Scanned letters, cut into strips and arranged to form intersecting streets of Vienna, serve as the pathways of memory, linking the past with the present. 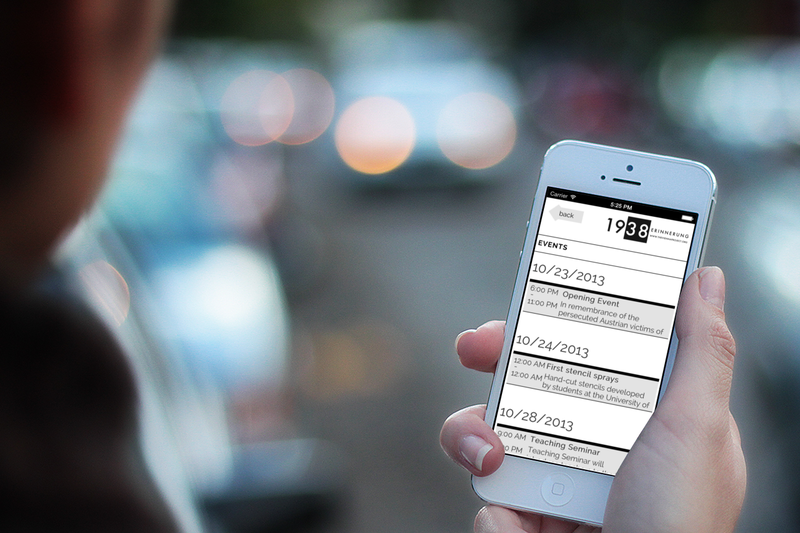 The app also contains a standard city map of the sites, and integrating the archival history of each site with animated, contemporary multi-media input, in the form of video and audio tape interviews of survivors, video from our performance art installation program, and audio interviews from our education program. The Smartphone app can be downloaded from the app store or on the web site at www.theviennaproject.org/app. The app also contain a series of thematic tours, as well as Holocaust curricula for multiple age groups. Project information is available online, to be used as a teaching tool by universities and schools, archivists, historians, writers, emigres, and more. The app creates a seamless interface between the three disciplines of history, art, and education, that inform the memorial project.